The National Development Bank of Palau (NDBP or the Bank) is a small development finance organization operating in the Republic of Palau, where underlying economic strength presently relies heavily on foreign aid. Such aid monies primarily flow from the United States under a Compact of Free Association, with significant contributions also from Japan and Taiwan. The economy of the country is fragile in that it relies mainly on offshore sourced tourism for current account inflows, and import costs continues to heavily outweigh tourism and other foreign exchange receipts. Limited land and population size are made up for by close proximity to Asia, natural beauty, and high biodiversity. There is little core infrastructural development to cater for import substitution and self-sufficiency, and when the payment arrangements from the United States under the abovementioned Compact cease in 2009 it appears funding difficulties will arise for the Republic. Indications are that the United States will further assist Palau with additional funding going forward based on current discussions. A $150 million trust fund is sufficient to fund operations going forward for several years. The Bank itself is 100% government owned. Its corporate objective is to actively promote environmentally friendly economic development in all sectors of the nation through the provision of low cost capital to deserving enterprises, conduct business in a profitable and sustainable manner, and constantly strive to exceed customer expectations. 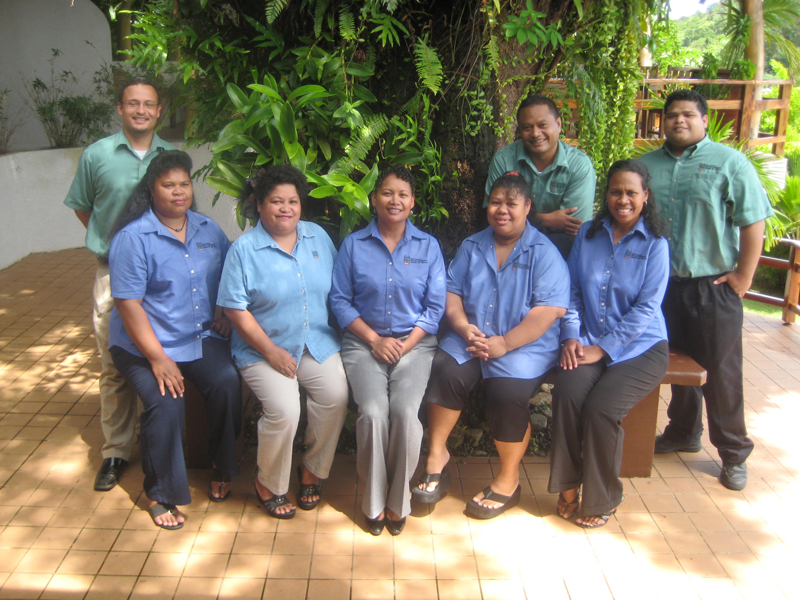 Palau National Code Annotated 26 PNCA § 102 established the National Development Bank of Palau. At present the Bank is authorized by statute to raise deposits though present plans to do so are not being pursued. The Bank is able to borrow in its name and has the authority to issue bonds. The latter has not occurred and the liability side of the balance sheet consists entirely of shareholders funds and bank loans. Present loans that the Bank has taken include Mega International Commercial Bank ($5 million), Palau Social Security Administration ($6 million), and European Investment Bank (5 million Euros). An application for funding has been made to the US Department of Agriculture and other sources are being pursued. The Bank has lent in a very strong position compared to competitor banks. However this has not always been the case and there have been occasions in the past where on-balance sheet lending has had to cease whilst repayments from loans had to be accumulated to achieve targeted reserves. During one such period, given the inability of the Bank to lend monies, arrangements were put in place for the Bank to guarantee loans made by commercial competitors - in some cases backed by Government guarantee - and contingent outstanding under these schemes had risen to around USD 7.3 million at one point. Since 2000, the Bank has restructured itself to reflect its current realities – cessation of government appropriations and increased funding from borrowed monies. 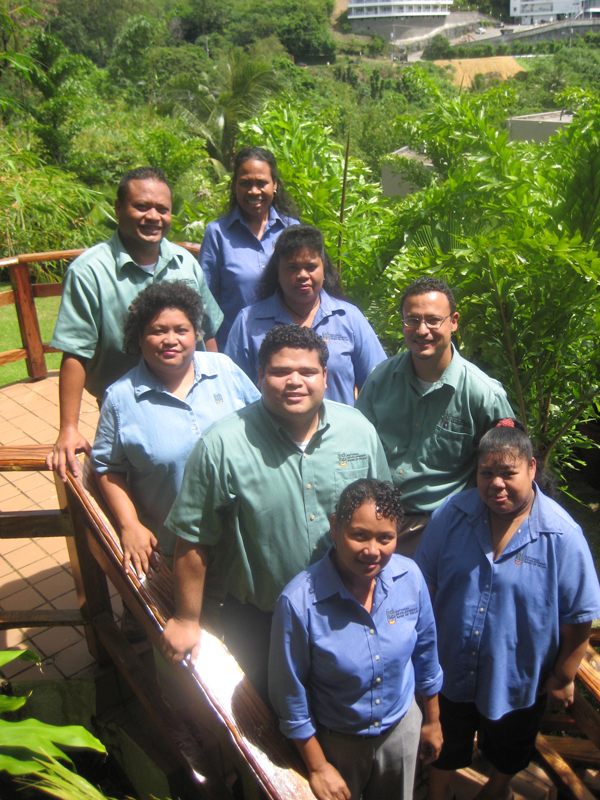 It now operates on a commercial basis with professionally trained staff. While housing loans remains a major component of operations, business lending has increased to over 50% of the Bank’s existing portfolio. The Bank has entertained increasingly significant economic projects including a regional airline. While the project failed, the Bank was able to secure repayment. Success is evident in financial results with capital growth from $6.6 million in 1998 to $15.1 million in 2008. Three million of this growth was from a further $3 million injection of capital from government. The balance was from retained earnings. Loan interest income has grown from $630 thousand in 1999 to $1.7 million in 2008 and change in net assets persists at just under $1 million per year. Moreover, portfolio quality has been improved and the Bank’s non-performing loans were 7% at the end of Fiscal Year 2008..
During this period, the Bank has lowered its interest rates, introduced new loan programs in the energy and micro/small business sectors, expanded staffing structure and numbers, and completing a new building in a high growth area of Palau. Future endeavors include future expansion of operations to include support for subdivision projects and private/public partnership with foreign and local investors.